This is the first fanart i did for kanda Yu. After doing so many sketches, i decide to colour one of them. so this is it. Kanda yu is my favourite character from Dgray man. So i try to imagine what he will look like in real life. This is a trial drawing. I spend around 12 hours using photoshop to colour. I plan to do Allen walker, lavi and lenalee too. Nice job with the realism! briliant! I love everything you di, looks real! This is very cool! Kanda looks awesome! is Kanda a guy or a gurl b/c obviously I cant tell if that is a guy or not , BTW : Love the picture ! im adding dis to my favoritez ! 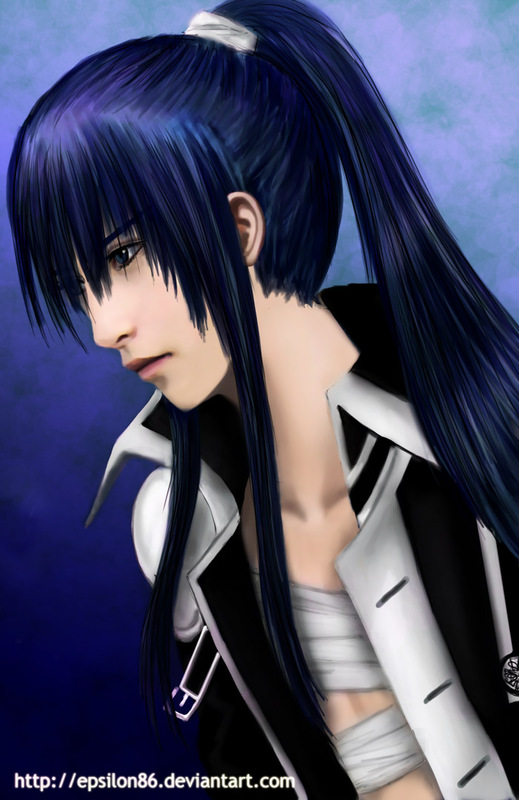 Kanda is a guy but he is a pretty boy. The mangaka who create this character had commented that he is hard to draw becos he is too pretty. But i like this character not really becos of his look but his attitude is really interesting in the anime/manga. He is foul mouth and always quarelling with Allen. Which is kinda entertaining. Oh okay , my bad ! Its just he looks 2 cute 2 look like a gurl ! , and thanks 4 replying back , i loved how u did his hair and the background lookz awesome ! PLZ MAKE MORE KANDA ! and also, what anime / Manga is he in ? Kanda Yu is a character from D.gray man. The anime is extremely nice! This is awesome...no, like, seriously awesome. Can't wait to see the others. Amazing! I love the colours, the texture, the facial features... everything!